James has been Managing Director at CHILDWISE Research for the last six years. He sees his role as supporting the team, drawing on his experience in brand management and as an agency planning director. 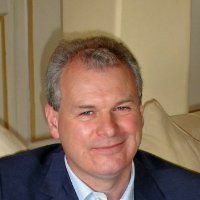 His previous experience includes brand management for Reckitt & Colman and Unilever; a spell as an academic at Oxford Brookes University specialising in market research and communications; all preparing James to co-found FFwd – a planning led agency where he was planning director and later managing director.